Nathaniel Rateliff is a musical chameleon. In a career that is only a little over a decade old, Rateliff has already explored several different rock 'n' roll styles via his own solo career, a tenure with bands Born in the Flood and The Wheel, and now with his latest band, the Night Sweats. That most recent combination, via the group's 2015 self-titled debut album, propelled Rateliff's music from the coffeehouses to the dance floors with a raucous infusion of horn-drenched soul and funky rhythm and blues. Since that earth-shaking debut, the Denver-based Rateliff & the Night Sweats have released an EP, 2016’s A Little Something More From Nathaniel Rateliff & The Night Sweats, and a live album, last year’s Live At Red Rocks. Now, comes the second studio album, Tearing at the Seams. “Intro” is an homage to James Brown that gives the Night Sweats a sizzling opportunity to stretch out, while “Still Out There Running” slows the proceedings down long enough for a mellow moment of contemplation. From the beginning, Rateliff, who turns 40 later this year, wanted the Night Sweats to be part of the writing process for the second album and this unity is reflected in the immediacy of the performances. The early stages of work took place in New Mexico and Richard Swift, who produced the first album, returned to helm these new sessions. Rateliff's synchronicity with the Night Sweats — drummer Patrick Meese, bassist Joseph Pope III (who has been working with Rateliff since their days in Born in the Flood), keyboardist Mark Shusterman, guitarist Luke Mossman, trumpeter Scott Frock and saxophonists Andy Wild and Jeff Dazey — fulfills his desire to inject a rhythm and blues vibe into his music. Tearing At The Seams reinforces the promise of Nathaniel Rateliff & the Night Sweats’ self-titled debut album. Rateliff is a versatile artist, capable of being an introspective singer and songwriter, an expressive soul man, and a vocalist of unbridled emotion and power. 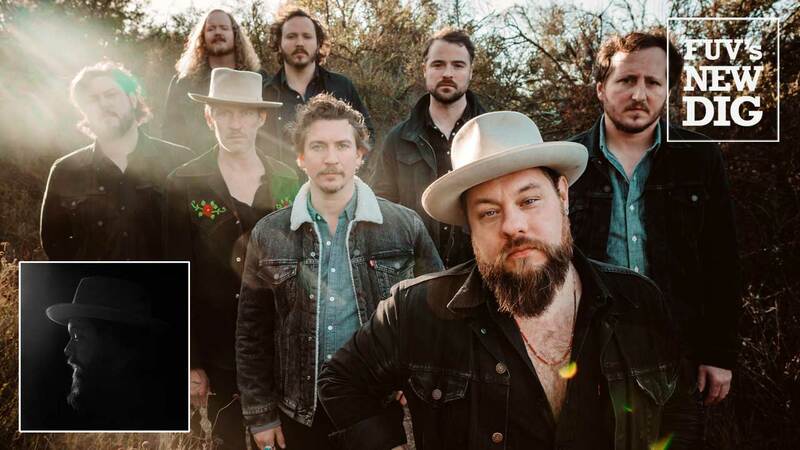 Listen to an FUV Live session with Nathaniel Rateliff & the Night Sweats on 90.7FM on Monday, March 12, at 8 p.m. EDT, also on demand in the FUV Vault.